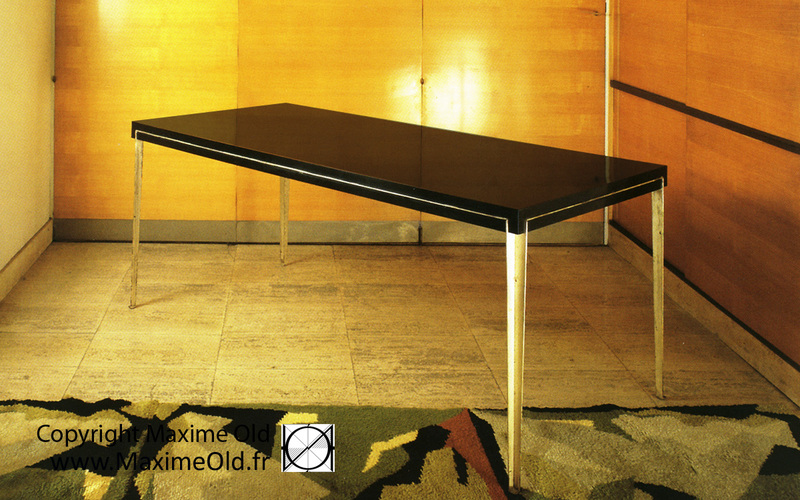 The Maxime Old Paquebot France Onyx Table is the square version exhibited with the bridge armchairs in 1960 and set on board the cruise-liner France. 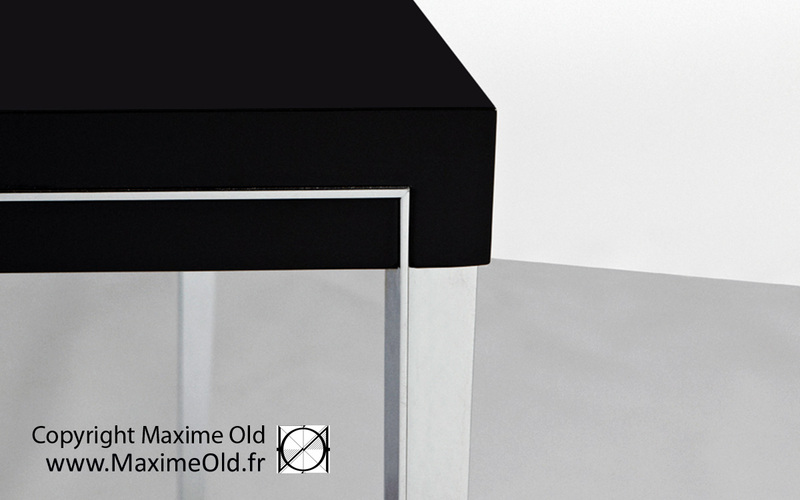 Maxime made a rectangular version for his own dining room, to sit six to eight guests. 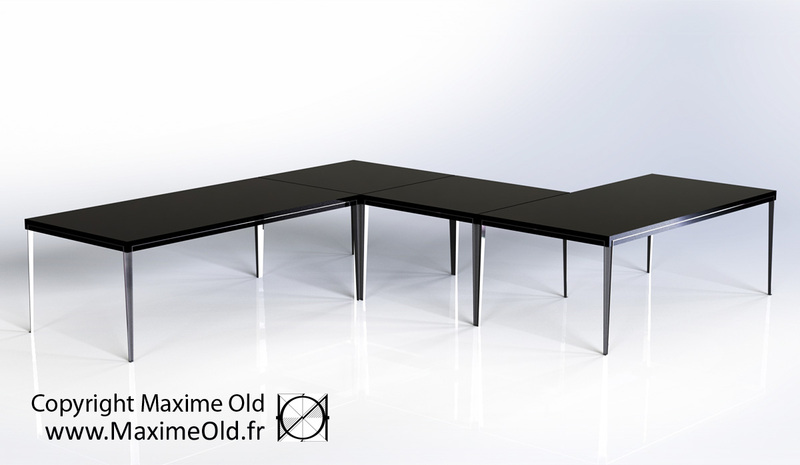 The different tables can be put side by side. 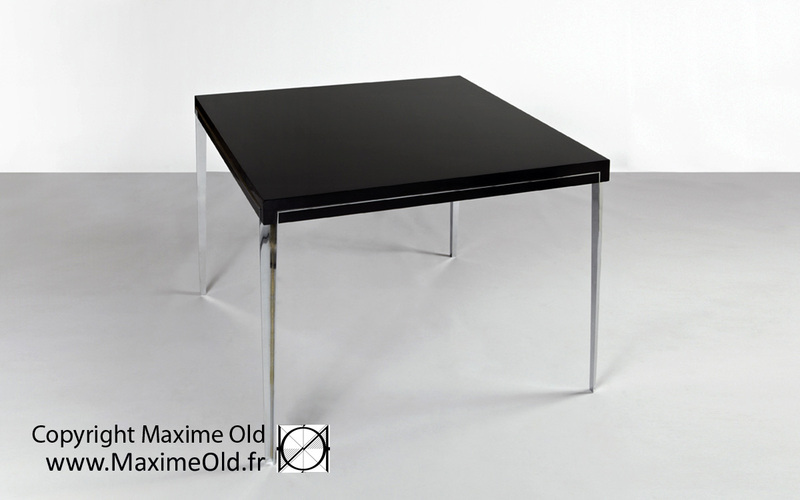 The Onyx table is part of the “Paquebot France Collection” (TM). 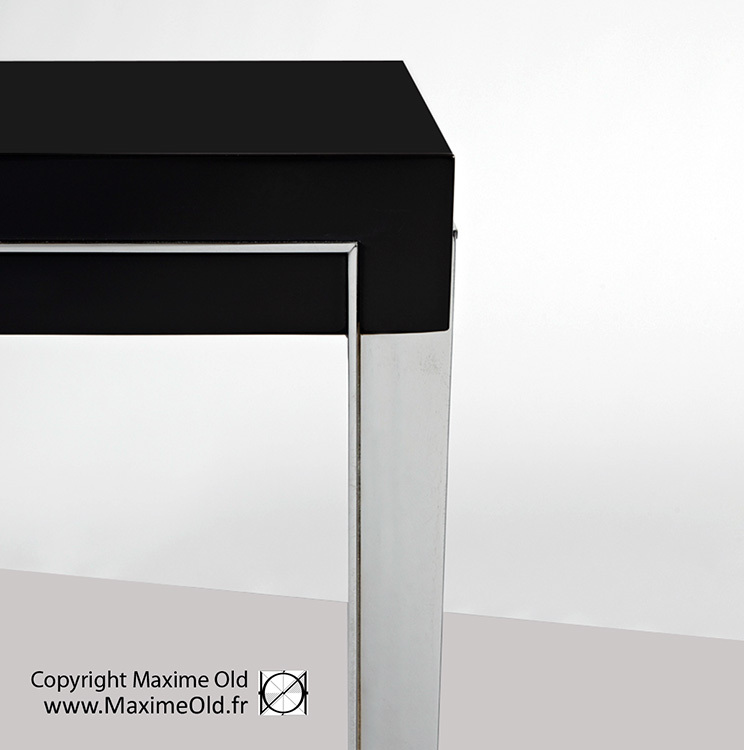 Dimensions (HxDxW) : 75x 100 x 100/200 cm. 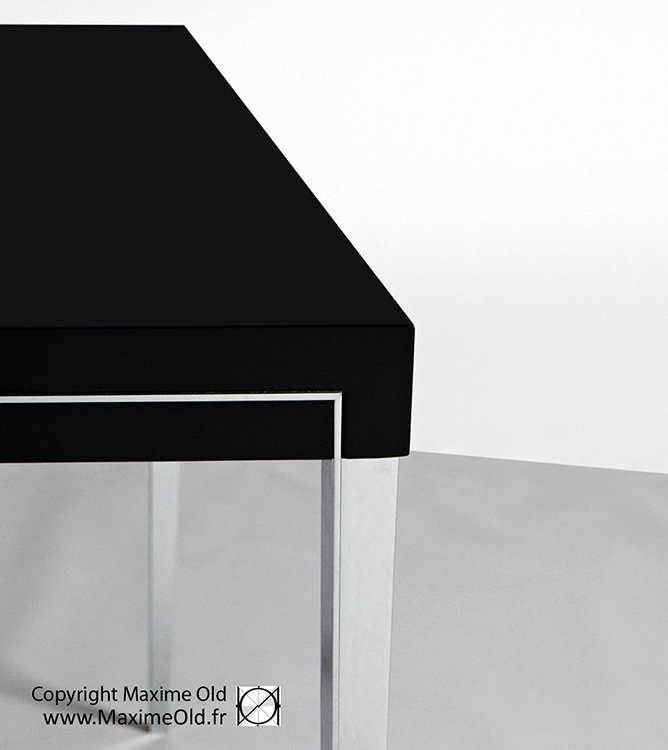 Materials : Stainless Steel, Onyx Resin.